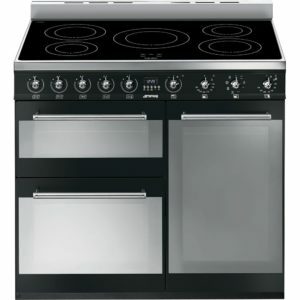 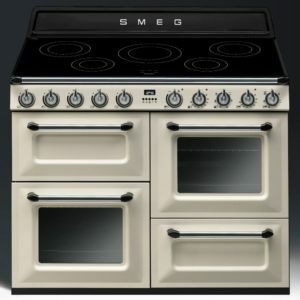 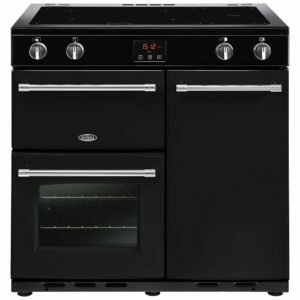 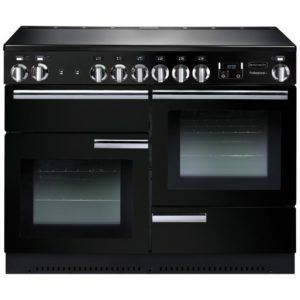 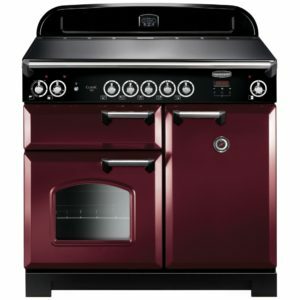 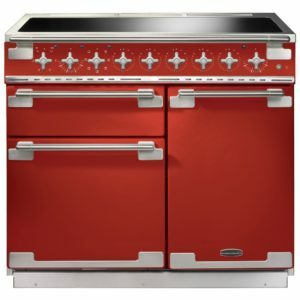 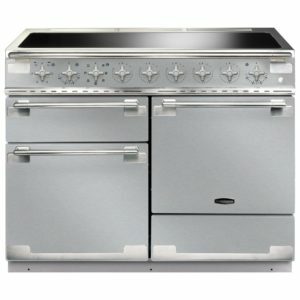 Offering plenty of space for even the largest roast dinners, this 110cm wide range cooker from Rangemaster is perfect for a busy kitchen. 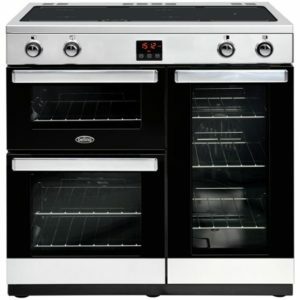 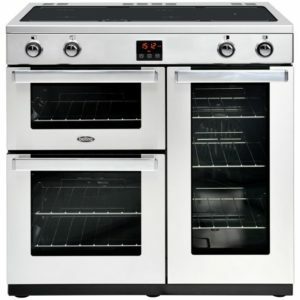 With 2 spacious ovens and a glide out grill, you will be able to create a feast, and your roast meats can be kept perfectly succulent thanks to the Handy Rack – attached to the inside of the oven door it makes access incredibly easy. 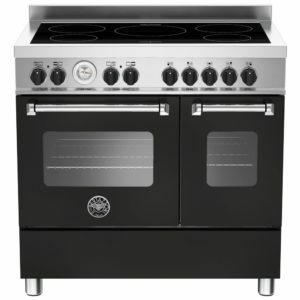 Topped with a 5 zone induction, complete with handy extras like the griddle and flexible bridge zones, you can cook up some fantastic dishes! 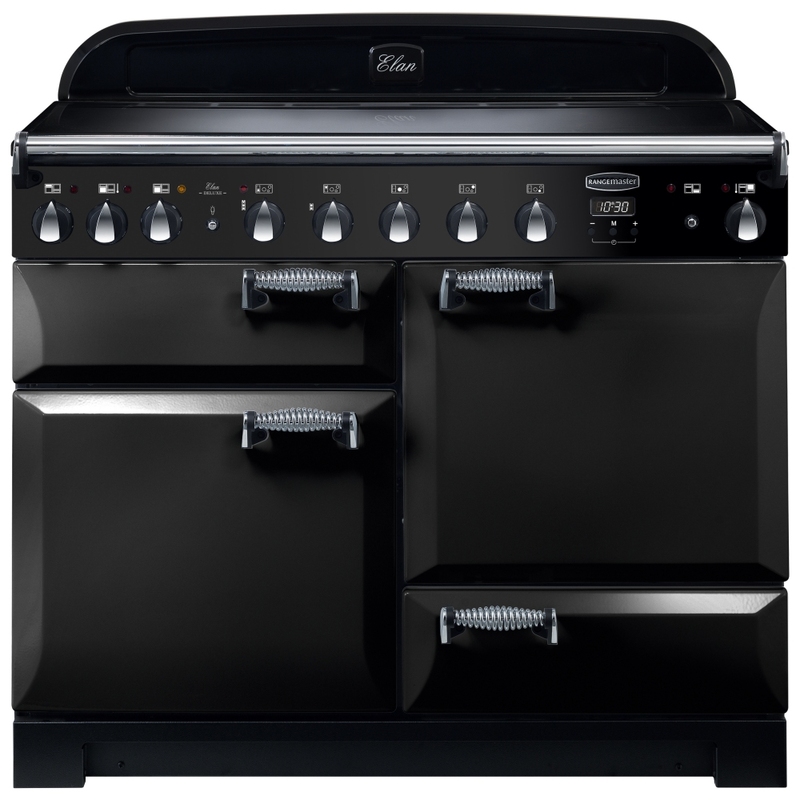 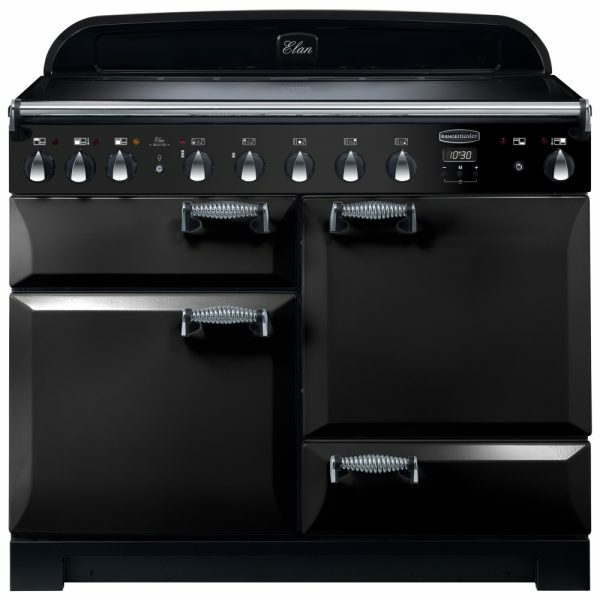 Finished in black, this traditionally inspired design looks superb in a stylish kitchen.